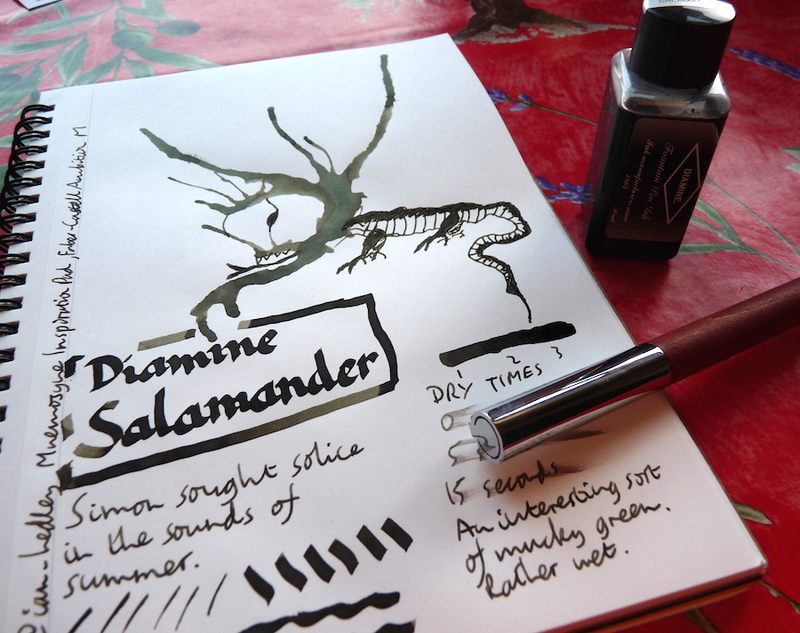 Diamine Salamander Ink Review – Pens! Paper! Pencils! Ed Jelley described this ink as kind of like burnt oil, pond scum, spa mud, [and] garbage water and it’s hard to disagree. It’s a mucky kind of green but has a charm all of its own. 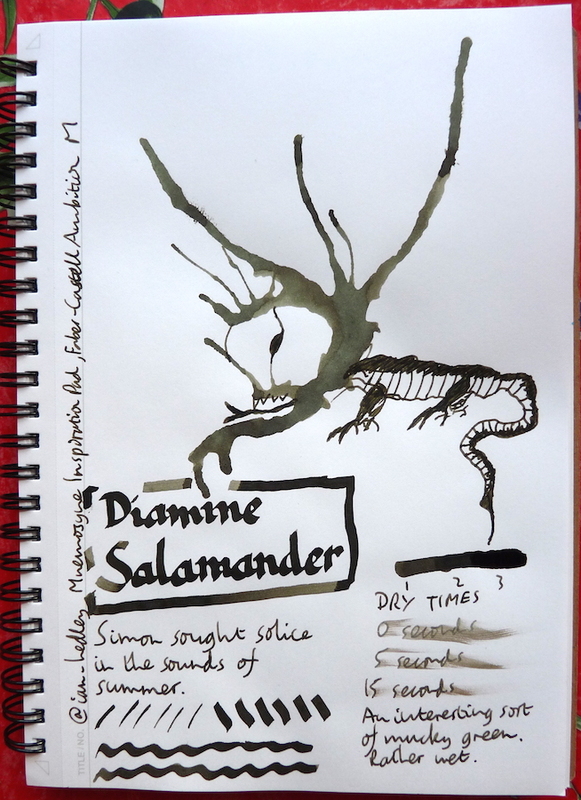 You can find some more reviews of Diamine Salamander on Pennaquod. Oh man. “Garbage water?” I don’t even know what that means. I love this ink enough that I followed my first sample with a bottle before I was even through the sample. I gotta review it on the blog soon. I like this ink on ivory paper. It is the green of small creatures found under rotting logs or of moss growing deep in rocky crevasses. Not an easy green, but a green that struggles to survive.